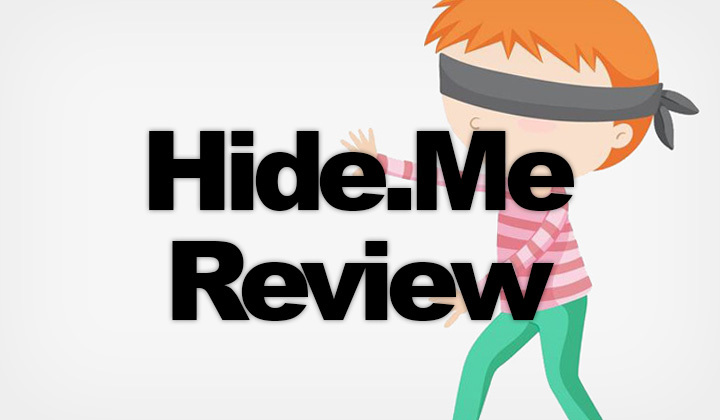 Hide.Me can be good value for most, basic VPN users with requirements for ease of use, high speeds and above average security, anonymity features. How safe their “Hide Me” service really is and.. Looked at possible Hide.Me alternatives worth considering. When evaluating a VPN service, the first and foremost important thing to look at is the level of security provided & how it compares with alternatives. While Hide.Me is not obsessed with security, they are amongst the most secure VPN providers. See this post on Hide.Me on what their actual VPN security claim is. Considering that you are paying just $4.99/month for access to VPN servers in over 30 countries worldwide, and that bandwidth is unthrottled on gigabit networks for high speeds — you are getting highly competitive value for your money. Understandably so, it has become a norm of the VPN industry to state a “zero logging policy” even though it’s not the complete truth. And Hide.Me is no exception here either, as it looks uncompetitive to come out into the open. However on closer inspection they have managed to pull of an infrastructure that is not bomb proof, but it gets the job done. Which means that authorities, court orders or governing laws cannot intrude on your online activities. The jurisdiction of Hide.Me is in Malaysia, where the company is located. This allows them to NOT record any personal data, with the exception of an email address. And that the few connection logs they keep, don’t contain your real IP address (just your username) and are destroyed automatically every hour. If highly motivated authorities would be able to get this data, that could theoratically pose a problem. But since it’s only available from the past hour, it is virtually impossible for any intrusive party to really benefit from it. Using military grade encryption, namely AES-256 bit is another norm of the VPN industry and Hide.Me follows this trend on high security connections. And their easy to use VPN connection client, does offer DNS leak protection features which effectively prevents one of the most typical ways to accidentally expose your real IP address, and identity to the outside world. But the VPN client does lack a kill switch for those who need a fool proof security wall. Meaning that if your connection gets cut off for any reason, data gets routed through an unsecured connection without the VPN. If you can afford a higher price tag, and looking for fanatic security features, from experience I can confidently recommend — NordVPN. They are equipped with everything for a modern security conscious generation of internet users. On top of what Hide Me VPN is offering — they not only include a real no logging policy and a kill switch feature, but they have additional security features to perfect your anonymity when in need. You can route the VPN connection through two servers or even get routed through TOR for maximum security. Basically you get richer features, polished security and anonymity, and they beat Hide.Me’s 30 country locations with 59 countries and counting. What do you think about Hide.Me? Leave your review in comments! Or give us a shout with your best VPN provider alternative. Additional thing worth noting, is that these reviews, posts and other content on the blog contain at times affiliate links. This is a great, and voluntary way to support the blog, it’s activities and the author of course. Thanks so much for visiting!